The road to becoming for entrepreneurs is not an easy one, there are times when you have to walk the line. Your grit and perseverance got you to start your own small business, now it’s time to swallow some frogs and leap a few steps further. All ace entrepreneurs know the strengths and weaknesses of their brand before pitching it to their target audience. You could use the SWOT analysis to analyze the traits of your small business and plan its marketing strategies accordingly. Once you’ve got a good view of your best-laid plans for promoting your SMB, it’s time to bang the doldrums and announce your arrivals. Or maybe not! Let’s look at a few tips that can help you announce your SMB with a bang. Believe it or not, but more than three-quarters of buyers will research the company on social media platforms before they make a purchase. The image that you portray on these social media profiles is what the customers will see, hence take them dead-serious. A great way for many entrepreneurs to announce and promote their small businesses is creating multiple profiles on social media and connecting with the customers online. One in every ten purchases originates from a social media page. Need we say more? We know that managing all these profiles can be daunting, hence we recommend you to use free or freemium software for managing multiple social media profiles. There is no doubt that social media is the cheapest and the fastest way to get the word out about your SMB. As the owner of a small SMB, you have to sleep on a ‘bed of nails’ at times and the low budget doesn’t make things easy either. Emails are the most economical medium for marketing departments all across the globe. According to a recent survey by the Direct Marketing Association, using email for marketing provides 43 times the return on investment (RoI) in the United States alone. Focusing on customers needs and demands can aide your email marketing strategy. There are different free software available for drafting and sending emails. There is no limit on what you can do with email marketing. Major strategies include sending promotional discount offers, weekly newsletters, promo-offers and product announcements. Industry or business news is not meant for just big firms, but equally for medium and small businesses as well. As the owner of a small business, be aware of the market trends, what’s hot & what’s not and new technologies that can be adopted into your business. An entrepreneur will focus on the inner-workings of his/her SMB and draft a SWOT analysis. If you are a thoughtful owner of a business and haven’t prepared one yet, you could do so by using a SWOT analysis software. A good entrepreneur besides focusing on the innards of the SMB will be aware of the trending business news and gauge all the opportunities. Being up-to-date with business news will make you relevant & timely and can make you appear as an expert. Let us be brutally honest and tell you that your potential customers are sick and tired of the same old marketing strategies. Now, it’s about being a little off-the-wall, creative, and adopting new techniques like guerrilla marketing. If we take a look at the current entrepreneurs that are taking the world by storm, one example of a creative genius is Gary Vaynerchuck. His marketing strategies and way of announcing his business is well-directed to his demographic-specific global audience. We don’t suggest you go overboard with your creativity and sacrifice all your essential funds as they are already stretched thin like an elastic band. Be creative but be sensible at the same time. Use creative ideas like cups, glasses and coasters with your company logo. If budding entrepreneurs want to get their hands on the best and cheapest way to promote content, remember SEO (Search Engine Optimization). If they can’t hire top talent in marketing, promotion and marketing may suffer a bit. But, starting a free blog (through WordPress, etc.) you improve your search engine ranking on the internet. Use specific and trending keywords in your blog and hire an individual to keep track of your SEO. It’s as simple as ABC. Instead of focusing on the product, focus on the problem it’s solving and the solution it is providing. This is what makes a difference between being the owner of a small business and being a visionary entrepreneur, a leader. To appear as an expert, try to make features on a few business magazines and news. Remember how Kevin Systrom made headlines a few years ago by promoting Instagram on business channels? You need to learn from that! Giving interviews for magazines and on TV shows, you appear to be on top of what you’re doing. Your customer bank will improve significantly if they have already seen you give information to other SMBs and know you believe in what you’re doing. 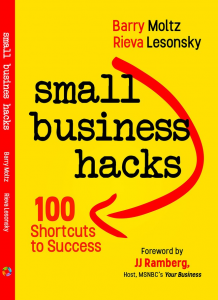 We are not suggesting you follow all the tips at once for your SMB at once. That would be unfair. What we, really require you to do is, glance through these tips and apply one or a combination of multiple plans and strategies. Promoting your SMB is not easy as you might have realized, especially when you’re just starting out. We recommend you to be yourself and find your true north. If you believe the product that you’ve created, you will find marketing it a cakewalk with the tips we’ve provided. Next articleIs Blockchain Right for You?